Red is my favorite color. 🙂 Most of my stuff are red and it’s the motif of our humble abode. Some of you may remember the photo I used as my badge. I set the shoot in our dining/living room with the red wall as background. It wasn’t easy getting that shot as the little boy, playful as he is, wouldn’t take the shoot seriously. Still, all of us had fun that time…unfortunately for the fruits, they all ended up bitten by the little boy. And as it turned out, that photo I use for the badge became my favorite photo of them, one that has been of much use in print and once in TV. We love the same color. I too am very fond of that color. Nice shoot! uy! you posted your winning photos! I so love these shots! so fun and gorgeous! those are great shots. at least on the 3rd picture, your little boy smiled. Those are really great shots of your kids! And that picture of food looks something out of a cookbook ; ) Have a a happy weekend! Red is my favorite color too. The pictures are so beautiful! wow! 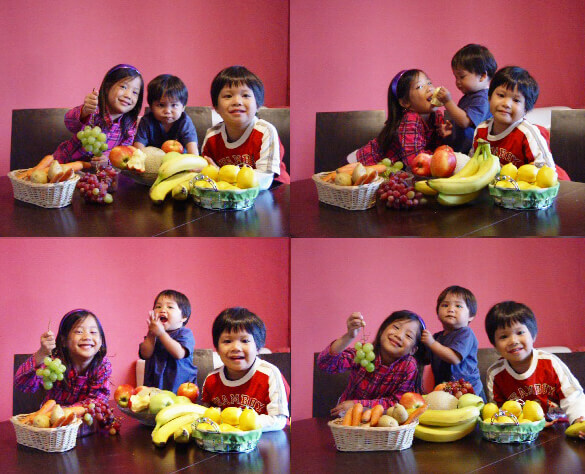 love the photoshoot session in your dining area 🙂 your kids are adorable! and the last photos, yummmyyyy! i love the hooded jacket! nice post! Ang gaganda ng mga shots mo! 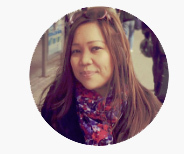 !Sobrang pagka artistic!What I do naman is click and click lol!Any trick with photography?I love the photo that you used for your linky badge!! Red is my favourite colour too. What a wonderful series of photos today. I love gardening too. Great shots! Especially love the cherry tree! wow, ang gaganda ng mga photos! gandan tingnan ng mga kids mo. iba na tlga ang pro na pro sa photography. pwede bang mag-seminar? hehehe! love all your photos but the food makes me drooling here. I’m always a fan of Japanese food. Coming from my hubby’s place, Gensan, we are blessed with fresh tuna and I so miss sashimi. In here, we just go to Japanese restos or buffets with Japanese food as often as we can. love your red house motiff. so bright. oh, sarap ng mga fruits! returning the visit, sis. salamat ha? heto at nakabalik na ako. nice photos Mommy… and cute kids too… ang ganda ng pictorial nila.. hehe… naku, I’ve seen a japanese food.. hhmm.. ginutom ako… waaah!! !